November 25, 2018 November 23, 2018 by Robert Ortiz-Abreu, Jr. 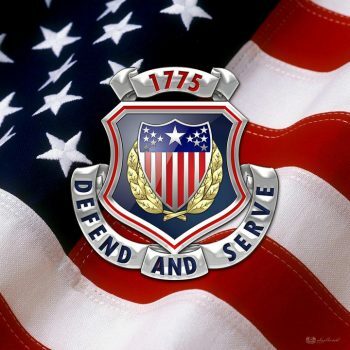 The proud heritage of the Adjutant General’s Corps dates back to the formation of the American Army when on 16 June 1775, the Continental Congress established the position of Adjutant General on the staff of General George Washington. On 17 June, Congress selected Horatio Gates, a former officer in the British Army, to become the first Adjutant General of the Army with the commission of Brigadier General. General Gates made good use of his knowledge of military organization by bringing good order and regularity to the Army by transforming militia units from the 13 colonies into one “American Army.” General Gates developed the system by which regular strength returns were compiled and reported up through the Army’s chain-of-command. The first report was completed on 19 July 1775, and established the basis of the “personnel system” used to compile personnel and strength information for the remainder of the war. Over the course of its long and distinguished history, the Adjutant General’s Corps has become responsible for several critical personnel and administrative support functions that have served to sustain America’s Army in peace and war. Among them are personnel accounting and strength reporting, casualty management, replacement operations, postal operations, morale, welfare, and recreational support, and a full range of personnel services essential to Soldier morale and the Commander’s ability to effectively plan and conduct operations. As the Corps has evolved, the Branch has been heavily involved in force modernizations and programs designed to improve the fighting effectiveness of the Army. As the United States mobilized for World War I, the Adjutant General’s Department pioneered the use of intelligence testing to measure the skills and aptitude of Soldiers coming into the Army. These tests and associated interview methods became the basis of the modern military personnel system that recruits and assigns Soldiers to the various occupational skills and specialties around which the Army’s modern combined arms teams are built. On the battlefields of Europe and the South Pacific during World War II, the Adjutant General’s Department employed the first use of computer technology to process wartime strength and casualty information. Crafted from the lessons of modern war and the emerging personnel requirements of a global U.S. military commitment, the Army Organization Act of 1950 established the Adjutant General’s Corps as a separate branch of service. With branch status came the obligation to prepare for war in peacetime – training Soldiers in the specialty and developing personnel doctrine and unit structure and organization integral to the support of Army operations around the world. In executing that mission, the Adjutant General’s Corps has served as a key combat multiplier in support of combat operations in Korea, Vietnam, Grenada, and Panama. Since the end of the Cold War, the Adjutant General’s Corps has deployed to Southwest Asia in support of Operations Desert Shield and Storm, and has participated in a number of contingency operations essential to the security and well being of our nation. Soldiers of the Adjutant General’s Corps were among those supporting peacekeeping operations in Bosnia and Kosovo, Operation Enduring Freedom in Pakistan and Afghanistan and Operation Iraqi Freedom. As the branch has evolved, Army leaders have come to realize that the personnel system is as vital to the war fighting capability and morale of individual Soldiers and their Families as it is to mission accomplishment. Today, the Adjutant General’s Corps continues to develop new and increasingly efficient means of providing timely and dependable personnel support to Commanders and the entire Army family. As we enter into a new millennium, our confidence in the future is buoyed by immense pride in our past. We remain and will always be prepared to Defend and Serve!